J.P. Morgan Securities, the affiliate of JPMorgan Chase & Co’s wealth management business, has been snatching up advisers and executive personnel from several leading brokerages since March this year, having now climbed to 14. 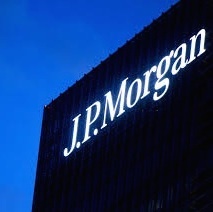 JPMorgan has made headlines with a bevy of hires across several divisions, including securities and Forex, which saw the appointment of Claudia Jury and Pranav Thakur as Co-Heads of FX in early June. The financial services conglomerate has been aggressive in restructuring several components of its business in 2014, which seems to show little indication of slowing down. Of the new hires, several have been tasked with offices throughout the US, including in the states of Florida, New York and California. These moves come on the heels of ex-Morgan Stanley broker, Bruce Ledoux, who joined JPMorgan’s Boston outfit at the end of June. In particular, a new four-person team has been set up in JPMorgan’s Florida locale in Palm Beach. The team includes Roy Apple, Anthony Rizzo, Jeremy Schneider and Kevin Gai, all of whom were former Deutsche Bank Securities employees. It is unclear if the frenetic rate of hires is to diminish in the coming months, however, JPMorgan will surely have a cascade of new faces managing its securities business come fall.